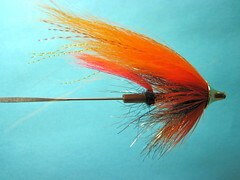 This page features our best steelhead fly patterns. 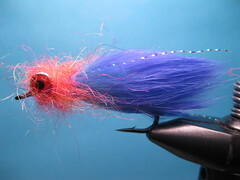 These links take you to a page with a YouTube fly tying videos demonstrating how to tie the fly, a high resolution image of the finished steelhead fly, and a fly pattern recipe. 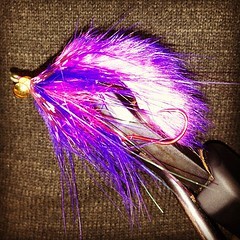 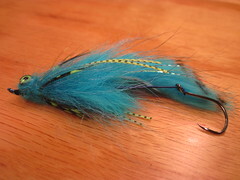 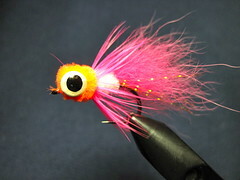 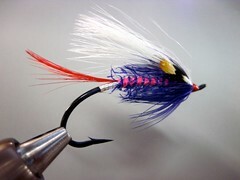 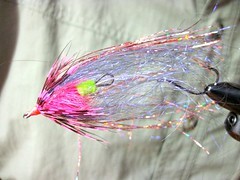 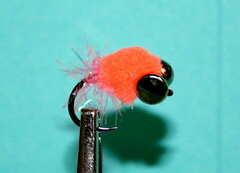 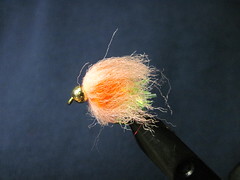 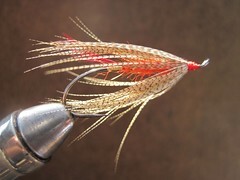 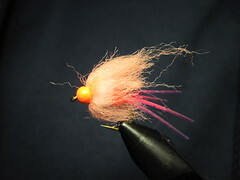 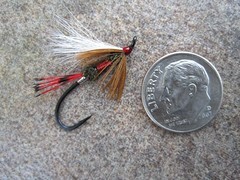 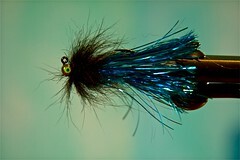 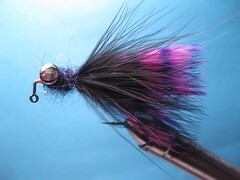 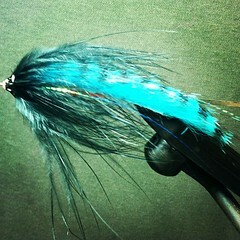 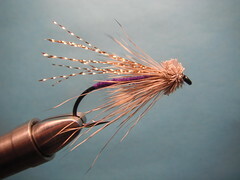 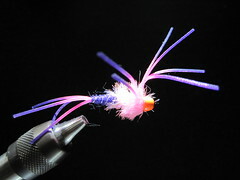 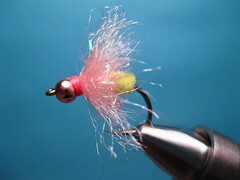 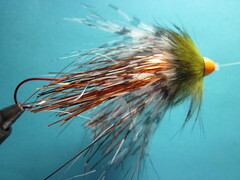 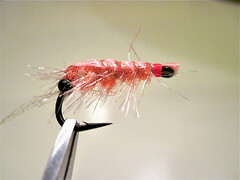 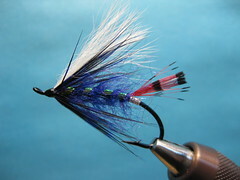 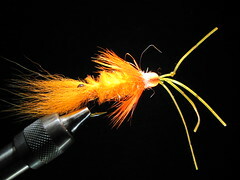 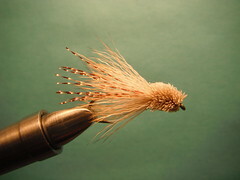 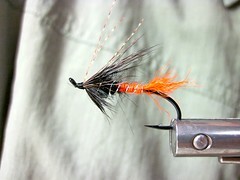 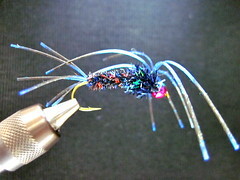 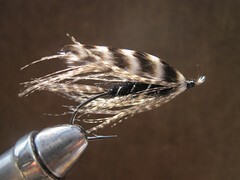 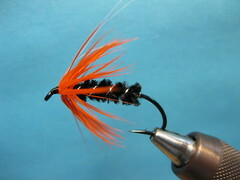 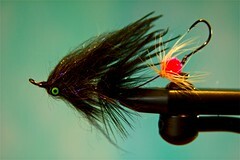 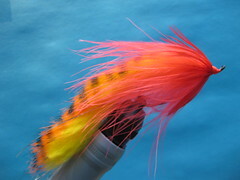 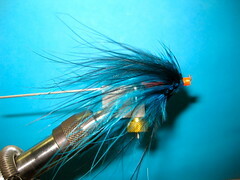 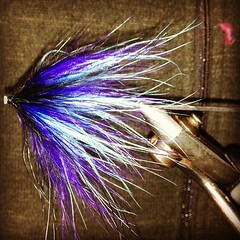 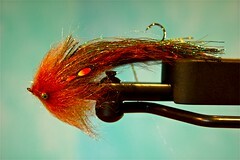 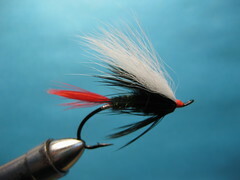 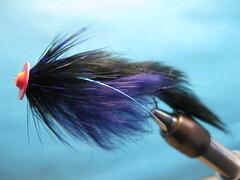 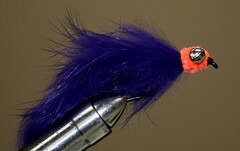 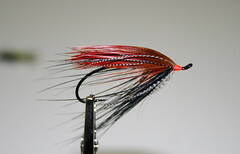 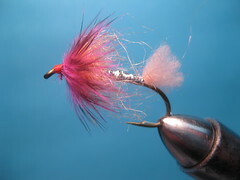 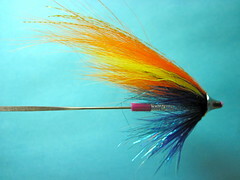 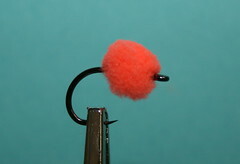 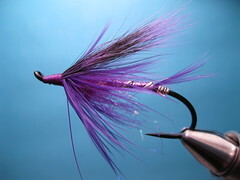 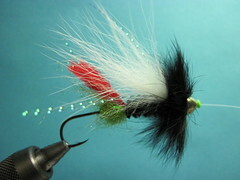 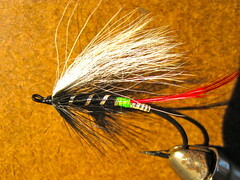 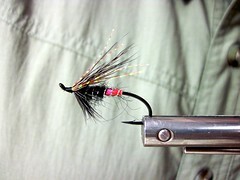 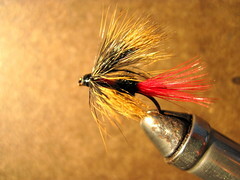 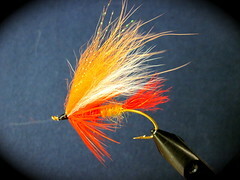 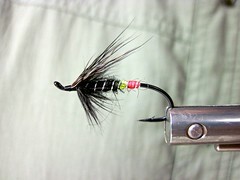 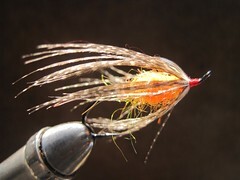 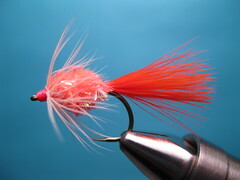 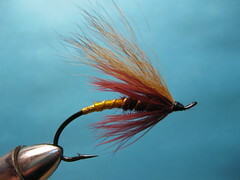 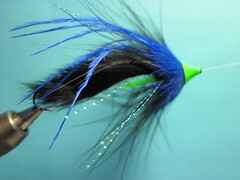 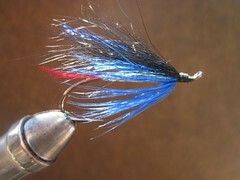 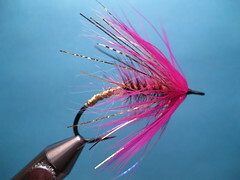 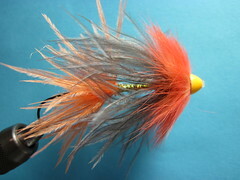 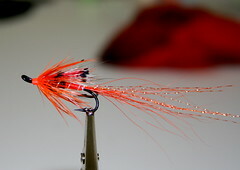 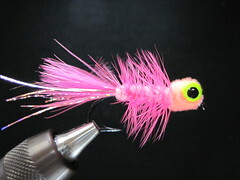 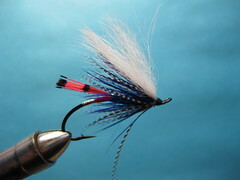 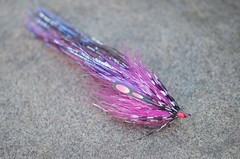 Click on the steelhead fly pattern link (not the photo!). 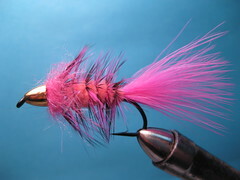 Steelhead love big slimy, articulated, freaky, purplish, feathery weird creeps. 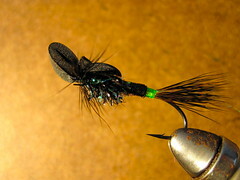 Tie some, and hang on. 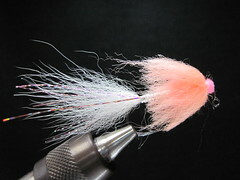 These are unweighted, typically summer steelhead fly patterns, used in Oregon’s great summer steelhead waters like the Willamette, Umpqua, Rogue and Deschutes Rivers. 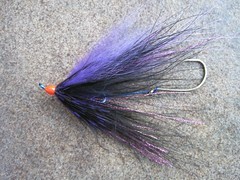 For when swinging just doesn’t work. 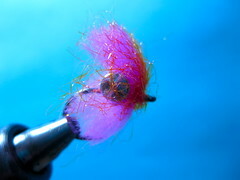 Or when you’re just feeling dirty. 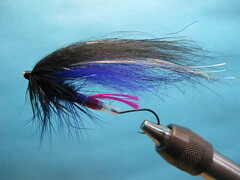 Get out the Bobbinator and lay some winter steelhead waste with these beauties. 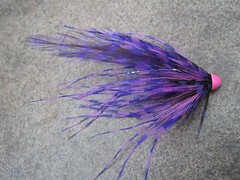 I line in Michigan and we are hoping for some rain soon to get the steelhead running. 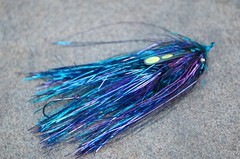 I will try out some of these patterns and hope they work well for the Great Lakes Steelies!!! 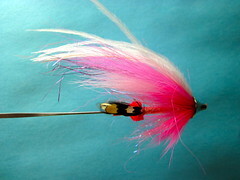 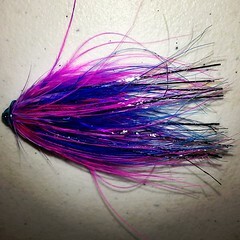 ‘m looking for some help tying some steelhead fly’s for the clearwater and salmon river’s of Idaho. 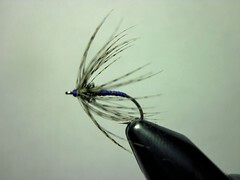 I’d appreciate some help with pattern’s and tying techniques. 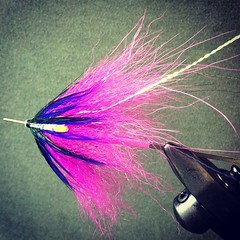 Thank’s. 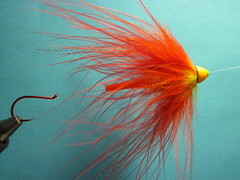 I would appreciate some suggestion’s with fly pattern’s for the clearwater and salmon river’s of Idaho. 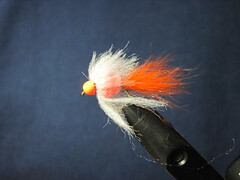 Like to see Pick yer Pocket pattern instructions/video. 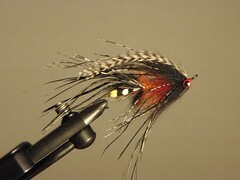 Good job on the intruder! 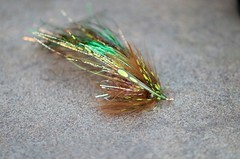 A tutorial/vedio of “Morrish’s Deep October Caddis” would be great! 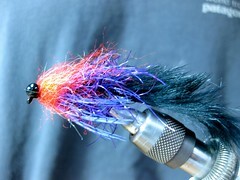 Would like to see tutorial on “morrish’s medusa”!!! 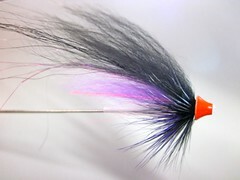 The popsicle version. 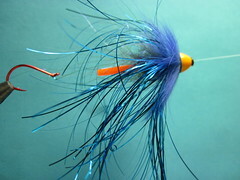 Keep up the good work on you tube Jay! 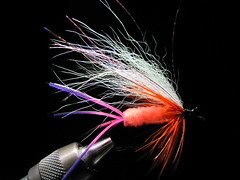 I like your beautiful flies, they are colorful. 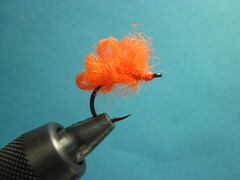 Any chance on a vid of how to tie a Pic Yer Pocket? 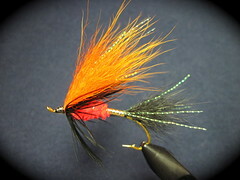 Thanks for updating the patterns-especially since it’s the beginning of winter steelhead. 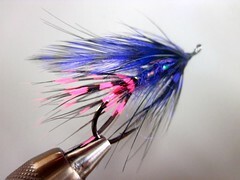 Great collection of Steelhead Flies! 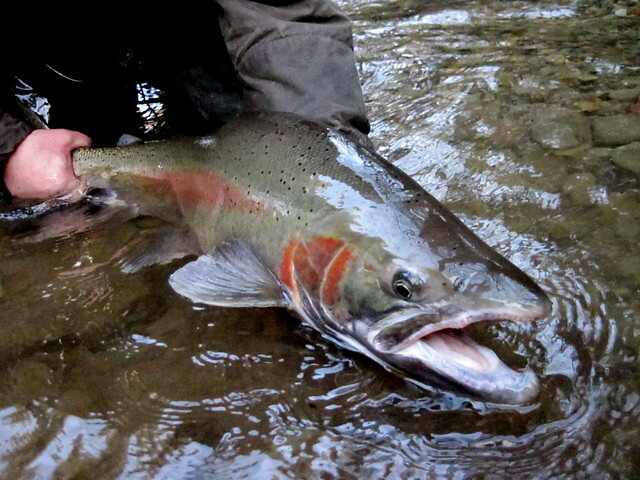 “The Best” — Alaska to Idaho, Michigan to the Northwest! 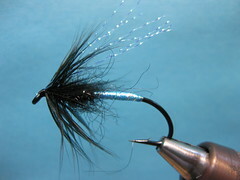 I was hoping to now what flies where good for the Clearwater river and the little salmon please let me know. 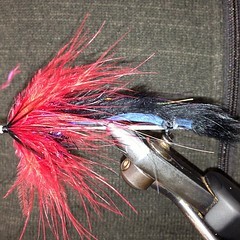 Please email any information on what is available in the Necanicum River at Seaside OR in the middle of July.